Are you just getting started on Facebook and wondering what to post? Perhaps you’ve been on Facebook for a while, but are running out of ideas? 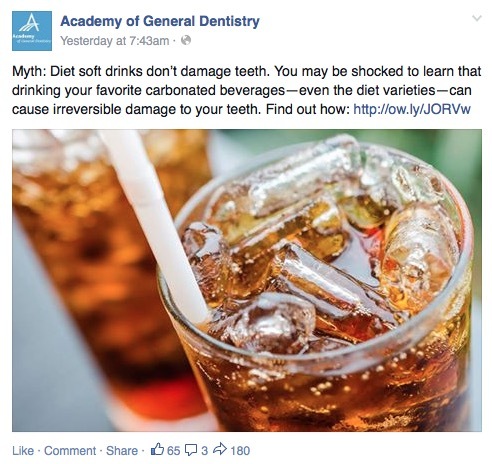 Either way, we’ve got some ideas to help give your Facebook page a boost and to encourage your followers to engage. People love to talk about themselves. 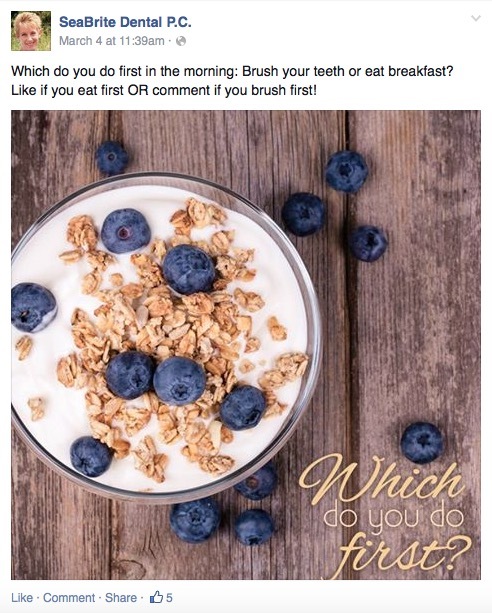 Pose questions to your followers about their oral health habits that encourage them to “like” or comment on the post. You’ll find a lot of people sharing motivational and inspirational quotes on social media. It’s hard to scroll past an uplifting quote in your Facebook feed without hitting “like,” making it a great way to encourage engagement. While you may find photos of your extreme cases interesting, your patients will find it off-putting. When in doubt, don’t post it. This can be a source of anxiety for many patients. There’s no better way to discourage a patient from scheduling an appointment than by posting a picture of the scary drill they fear! It’s perfectly fine to present yourself in an approachable manner, but keep the overall tone of your social media accounts professional and don’t divulge too many personal details. 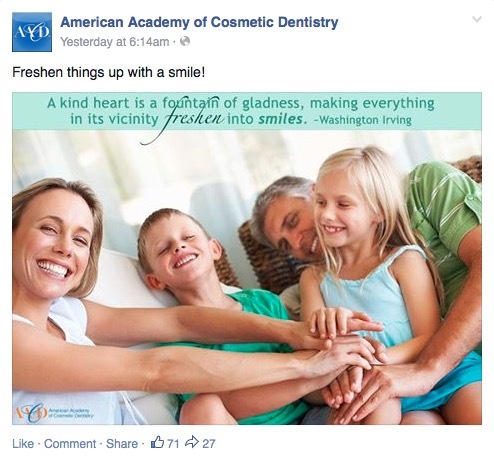 Try some of these social media content ideas on your practice Facebook page over the coming weeks. 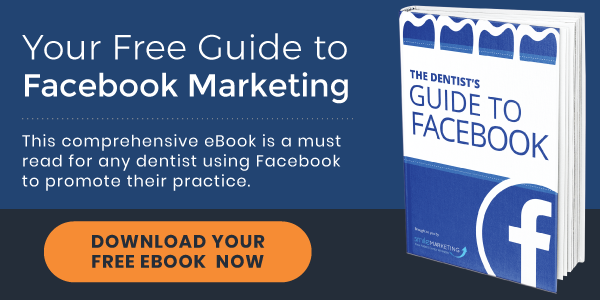 Also… download our free eBook and learn how to use Facebook to enhance your online presence.